At CPL, we are passionate about printing - so we are justifiably proud of the ZX-40 Ultra Ribbon Printer which we believe is the most modern and effective ribbon printer on the market today. Our machine benefits from the latest design and digital technology and is packed with useful features. 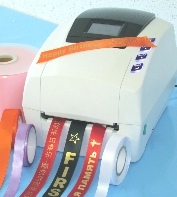 Just link our ribbon printer to a PC and you can print personalised ribbons in an instant. No need to have dies or plates made; no set up time; and it’s so fast, you can even print whilst customers wait. “Having used several ribbons printers, I can honestly say that due to the ZX-40 Ultra's superior print quality and reliability, it is the best printer I have used”. What do you get with the ZX-40 Ultra Ribbon Printer? When you buy the ZX-40 Ultra Ribbon Printer, we will also supply you with a link to free software download. 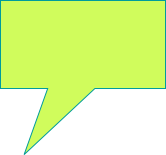 This is a complete software package and is not limited to just ribbon printing functionality as offered by our competitors. With this professional graphics software, you will have complete flexibility to create stunning designs; as an added bonus, you can also use it to create other items such as brochures for example. You’ll want to get started straightaway so to make your job easier, we supply readymade templates for all the popular sizes of ribbons so you don’t have to start from scratch. We believe ours is the only ribbon printing machine currently available that works perfectly on a ‘plug and play’ basis with ALL Windows operating systems, including Windows 10. Even if you’ve not yet upgraded to the latest version, it makes sense to a choose a ribbon printer that will still work when you do. We want you to achieve the very best results from your ZX-40 Ultra Ribbon Printer, so if you need technical support or guidance, just ask. We are confident the ZX-40 Ultra Ribbon printer is the right choice for you, but if you are not sure, please request some samples to be sent and we’ll show you what the ZX-40 Ultra Ribbon Printer can do.